It is with mixed emotions I am writing to notify you that my last day as Executive Director of the Philadelphia Parks Alliance will be March 1, 2019. A search committee headed by our Board Chair, Jim Burnett, will be conducting an exhaustive search for my replacement, with plans to have the position filled by the spring. As for me—I’ll be heading to the Share Food Program, where I’ll be serving as Executive Director. I’ve always said this position was the best job I’ve ever had. Every day, the Alliance staff reached out to community members across Philadelphia and worked together to improve and champion our public spaces in any way we could. 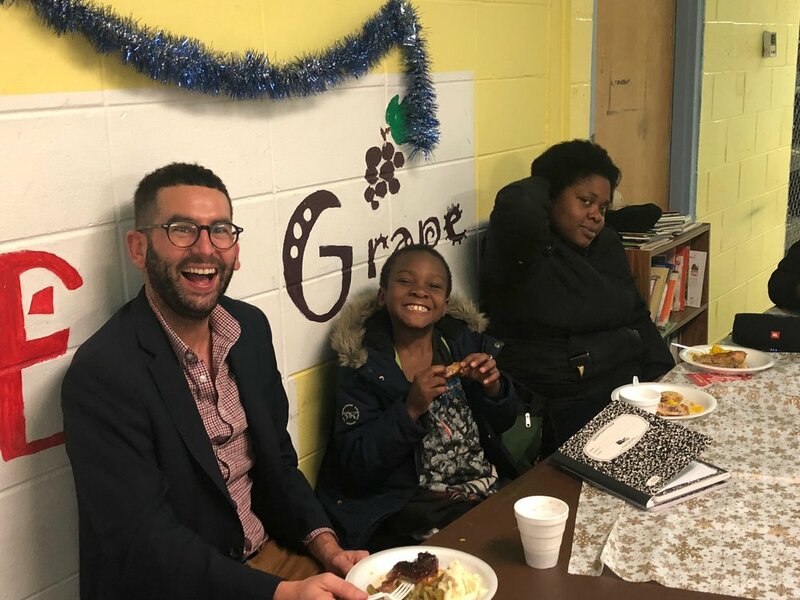 We pulled together a “kitchen sink” of ideas and initiatives—from advocacy campaigns, to cleanups, to innovative new programs, to our community outreach dinners (with more pizza than I ever thought I could consume) because we each shared a passion for our city’s recreation centers and playgrounds. My constant slogan over the last four years has been that these public spaces are more than athletic facilities—they’re centers of the community. And the people I’ve met along the way have become my community. We had some hits and some misses—but in the end I am incredibly proud of the work we accomplished together and know there’s great work ahead for the Alliance. All of this work could not have been accomplished without an amazing team behind the scenes. I sincerely want to thank our Alliance staff—past and present--for all of their dedicated work. Also, our incredible volunteers, VISTAs, and interns, who really helped jumpstart the organization and have remained committed to serving our neighborhoods. And of course, our philanthropic partners—both individuals and foundations who believed in us when we had this big, bold vision for the future of Philadelphia’s public spaces, and continue to support us in every way imaginable. Thank you. Last but not least, I want to thank you, our amazing supporters, advocates, and friends. In the last four years we’ve collectively made the biggest impact in communities through public spaces our city has ever seen. From passing the $500 million Rebuild Philadelphia initiative, to the development of 41 new Recreation Advisory Councils, to the unprecedented work to build out robust programming in underserved communities—none of this work would be possible without your support. We should all take a moment to celebrate. So, the Parks Alliance is inviting you to our “Sendoff Celebration” Wednesday, February 27th at 5pm at the Fieldhouse Restaurant, 1150 Filbert Street, across from Reading Terminal Market. I’d love the chance to personally thank each and every one of you. I’ve deeply appreciated my time working with all of you over the last four years, and am looking forward to celebrating the next chapter of the Park Alliance’s history.